so far i’m 3 for 3 and alive to tell about it. 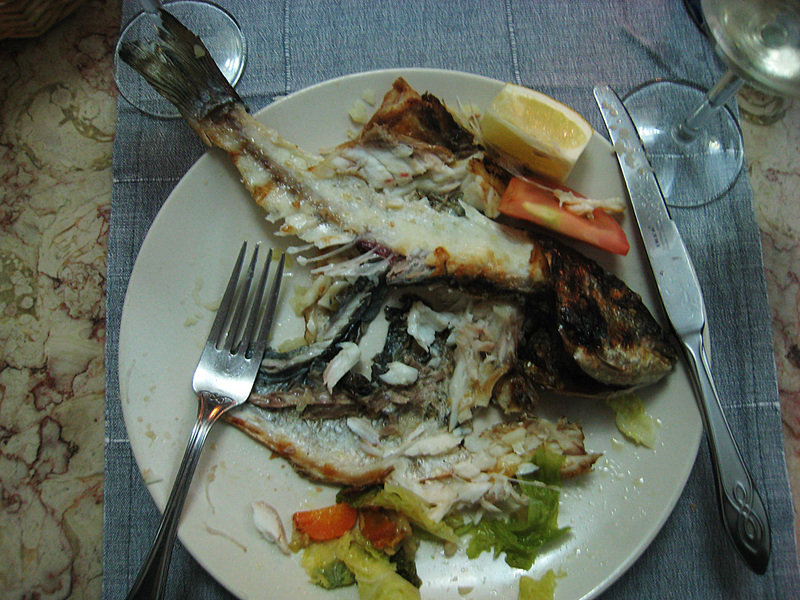 although, since i dont have the de-boning skills that the local diners seem to have i end up with a lot of fish bones in my mouth. the fish always comes whole unless you order a large fish which they don’t seem to eat here too often. also, this week is a national holiday here in portugal. it’s sort of like the 4th of july, but instead of grilling hot dogs they grill sardines everywhere. every restaurant in lisbon has a charcoal grill out in the street and little grandmas are grilling sardines. the other night we sat next to people eating them and took notes on how to dissect the fish, so one of these nights we will have to try them. also, when i think sardine i picture a small tin w/ little slivers of fish, but the sardines here are about 6 inches long and about an inch think. that sure looks like branzino to me! Really, sardines?? Grandpa G would be so proud of you! 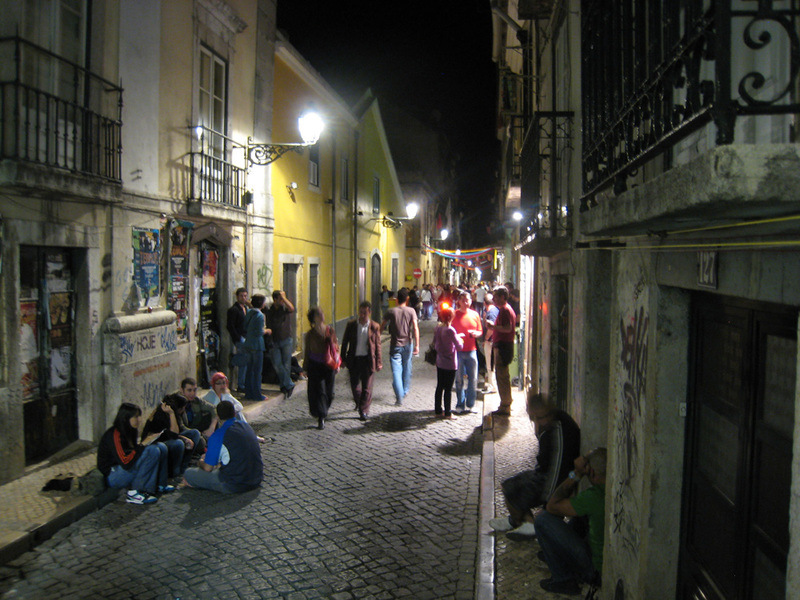 My travel guide to Portugal says hands down best old P food is at: Stop do Bairro. Elbow to elbow with neighborhood regulars on traditional dishes like dourado or porco a Alentejana (pungent mix of pork and clams). Not vegetarian/kosher but authentic. Pointless to give the address but here it is in case you stumble upon it: 55 Rua Tenente Ferreira Durao; 011-351-21-388-8856. Then again there’s bread. New Portugese dinning idea in your area: Pap’ Acorda. Great nouveau P cuisine. Acorda is bread stew with shrimp or cod. Reservations recommended. 57 Rua da Atalaia, 011-351-21-346-4811 dinner for 2 about $100 though. Wish we were there too! You’ve always been good with adventure…best wishes!